Nothing beats cuddling up in-front of the TV with the family and watching a good film at Christmas, does it? The difficult part is getting the time off work over the Christmas period to do this! There are plenty of great films released at this time every year, plus there’s the timeless classics that everyone loves, even after watching them for the 1,000th time. 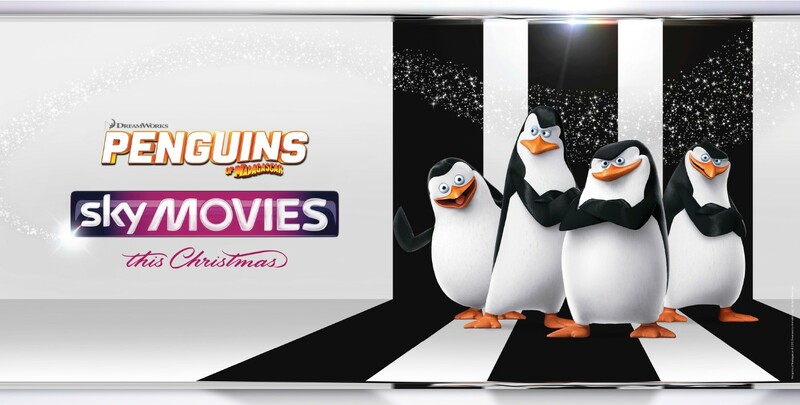 Sky Movies are releasing some amazing films this Christmas that we know you’ll love. So, get the After Eight mints in the fridge, put your feet up and get ready to ’Step in to the Adventure This Christmas’. The enduring tale of the oppressed scullery maid who defies her evil step-mother to snare a prince gets a sumptuous live-action run out from director Kenneth Branagh. The first sequel to Marvel’s epic superhero team-up sees Iron Man (Robert Downey Jr), Captain America (Chris Evans), Thor (Chris Hemsworth), Hulk (Mark Ruffalo), Black Widow (Scarlett Johansson) and Hawkeye (Jeremy Renner) take on a new evil: robotic supervillain Ultron. When tragedy strikes teenager Hiro, his big brother’s robotic “health care companion” Baymax is there to help him pick up the pieces. But, a mysterious masked man begins terrorising the East-meets-West city of San Fransokyo, meaning Hiro, Baymax and their goofy robotic engineering pals must suit up to protect the city. The pun-tastic penguins from the Madagascar movies get top billing in their own adventure which sees them facing up to megalomaniac octopus Dr Octavius Brine (aka ‘Dave’, voiced by John Malkovich) and his monstrous plans for the world’s zoo penguin population. We’ve got some fantastic Black Friday deals for NHS staff with Sky Movies and Sky Broadband so that you don’t miss a thing. Click on an offers below and start saving! Black Friday. What’s it all about? It’s a crazy time of the year when everyone gets a little bit excited and tries to grab themselves a tasty bargain. But with so many deals out there, it’s easy to get swept up in the Black Friday madness and lose out on the best discounts. We’ve got some fantastic deals for NHS staff this Black Friday to help you save money in the run-up to Christmas. That’s what we’re all about, saving NHS staff money. 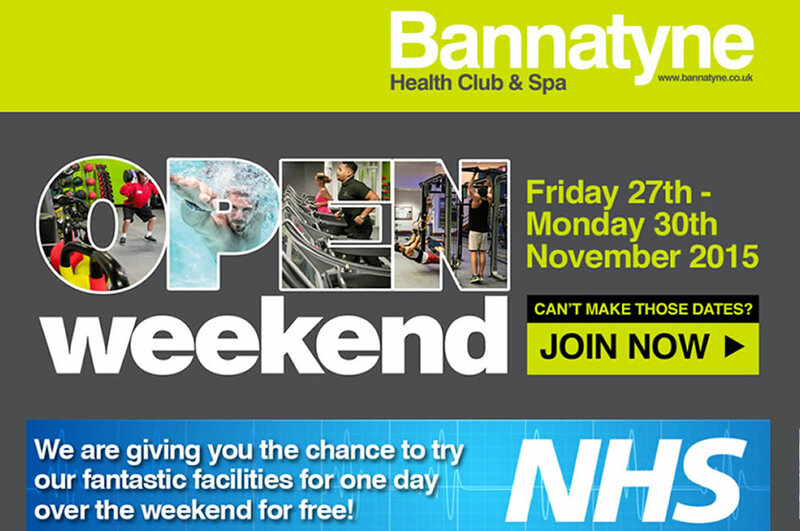 Bannatyne Health Club & Spa are hosting an NHS Open Weekend at health clubs across the country, with free access to all NHS staff from the 27th – 30th November. 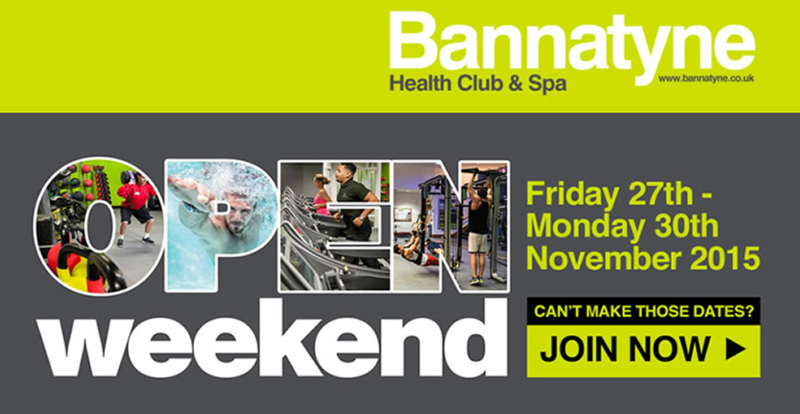 A perfect chance to check out the equipment and give you some inspiration to stay healthy over the winter months. 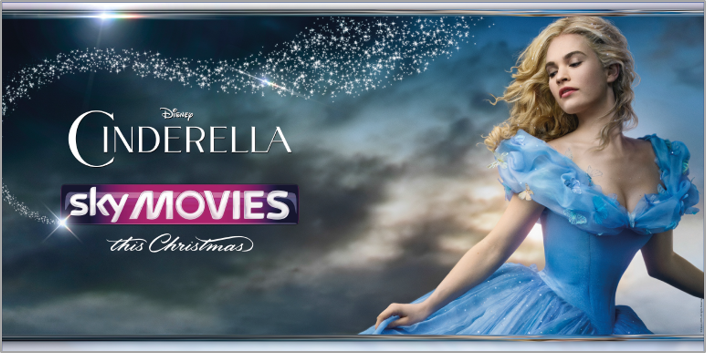 Sky have some Christmas movie magic for NHS staff this year, with some great deals on Sky TV and Sky Broadband. They’re releasing some brilliant films that are perfect for the family this Christmas, including: Cinderella, Penguins of Madagascar, Big Hero 6, The Avengers – Age of Ultron and Night at the Museum – Secret of the Tomb. 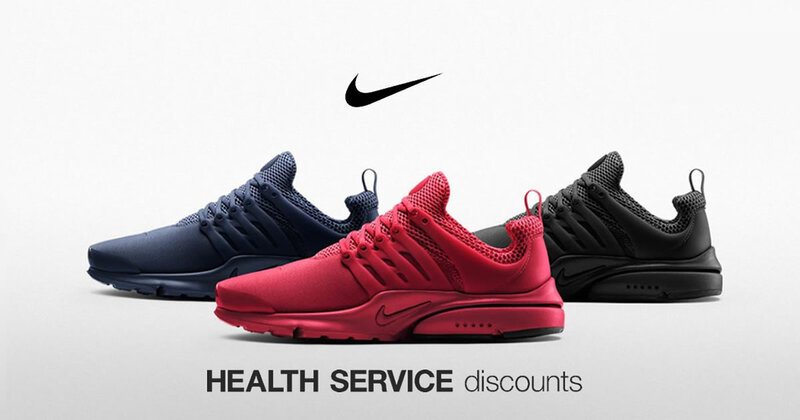 We’ve got the biggest NHS discount yet from our partners, Nike – you can get an extra 30% off sale items this Black Friday. A great chance to stock up on new gym gear, running shoes, football boots equipment, plus much more. We have a great deal with Appliances Online for NHS staff, giving you £30 off products over £349. All you have to do is grab the code from our website, take your pick from over 4000 products, and enter the code at the checkout to claim your NHS discount. Looking to snap up a great deal on a new mobile phone? You can get 20% off all monthly plans with EE, all you need is your exclusive NHS discount code. You can get all of your Christmas shopping in one place this year with Very, making it easy for you. Open a Very account today and NHS staff will be credited with £20 when you spend £40 or more. If you’re looking to get a little fitter, lose weight or simply lead a healthier lifestyle, then David Lloyd Leisure are offering to NHS staff the chance to join by the 30th November and get the rest of the year FREE! Benefits include: discounted membership, reduced joining fee, free access to all clubs in the UK and Europe, plus a free new member package worth up to £205. Make this a cashback Christmas and get money back on your purchases with the Health Service Discounts Mastercard Cashback Card. You can use the card instore or online at a number of retailers, including Argos, Boots, John Lewis, Toys ‘R’ Us and M&S, to name a few. Last but not least – you can enter our fantastic Black Friday Competition, giving you the chance to win a 50” Techwood LED TV. The prize draw will be made on Black Friday and one lucky winner will be watching their favourite Christmas films in style this year. Don’t forget to share this post on social media so your friends and colleagues don’t miss out on any great deals this Black Friday. Saving NHS staff money this Christmas is our number one priority. Christmas is a magical time of the year but it always seems to find a way of being that little more expensive than the year before. We want to make this festive season that little bit more manageable for you, and we think that we have the answer. 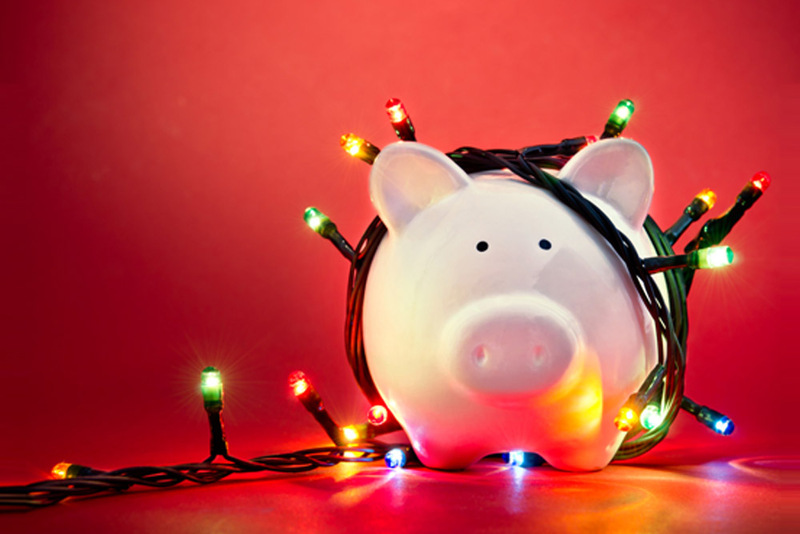 Christmas cashback! Cashback is a great way for NHS staff to make savings this Christmas. Cashback, for those that don’t know, is when you make a purchase and you get money back. It’s as simple as that. The percentage of cashback that you can earn is set for each retailer. Once you’ve purchased your items, the percentage of cashback is then calculated from the total cost and given back to you when you next top-up. With Health Service Discounts Mastercard Cashback Card you can earn up to 5% cashback on purchases online and in-store at a huge selection of retailers, including Argos, Boots, John Lewis, Toys ‘R’ Us and M&S, to name a few. You can even get cashback on your food shopping from Sainsbury’s, Waitrose or ASDA, which could come in handy for your Christmas Day feast. We offer a fantastic Cashback Card to NHS staff so that you can earn cashback and save money at over 36 million outlets worldwide, at any of our 50+ retailers. Earned cashback is credited to your balance the next time you top-up. Simple. If you work in the NHS and want to earn up to 5% cashback on your Christmas shopping this year, sign up for your Cashback Card today. Working in an NHS theatre is exciting, rewarding and a totally cool career choice. If you’re just starting NHS theatre life, then it can be quite overwhelming. You have to be made from something a little bit different to work in theatre. One day you could be catching a leg in an amputation, the next you could be huddled around in excitement awaiting the delivery of a baby via C-section. You have to be ready for anything. Some people simply can’t hack it. It’s certainly not your average 9-5 but if you’re ready for the challenge, then it can be done. You can survive and you’ll absolutely love the work that you do. To help you start with a bang, here’s our Ultimate Survival Guide to NHS Theatre Life. If you’ve got any more tips for newbies, tell us in the comments below. You’re going to see things that other people can only imagine, so be ready because it does get messy. If you’re in an operation and think you’re going to pass out, have a sit down so you don’t have far to fall. The surgeons haven’t got time to deal with a head injury as well! Get a notebook and write down instructions, procedures, different surgical techniques and preferences. Anything that will help you get through your list. If you know exactly what each surgeons wants and how they work, it will help you make a great first impression. You will be more prepared and ready for anything that is thrown at you. Keep plenty of spare socks in your locker. Things can wet, especially in urology, and you don’t want to be squelching around theatre in wet socks for the rest of the day. Working well together is vital and makes a productive theatre. Pitch in where you can and as much as you can. There might be times when you have to do things that you don’t feel you should, but just get on with it and it will get recognized. How you manage your stress is important and you need to find your own way to switch off after a shift, so you don’t take things home. This might be taking a quick stroll around the car park, pulling over in your car for 10 minutes, going for a run – whatever works best for you. Master your switch off mechanism and you will have a healthier work/life balance. Don’t let people walk all over you, because they will try to. Stand up for what you believe in. The main priority is taking care of your patients. If you feel something isn’t right, then speak up. You’ll be more respected in the long run. 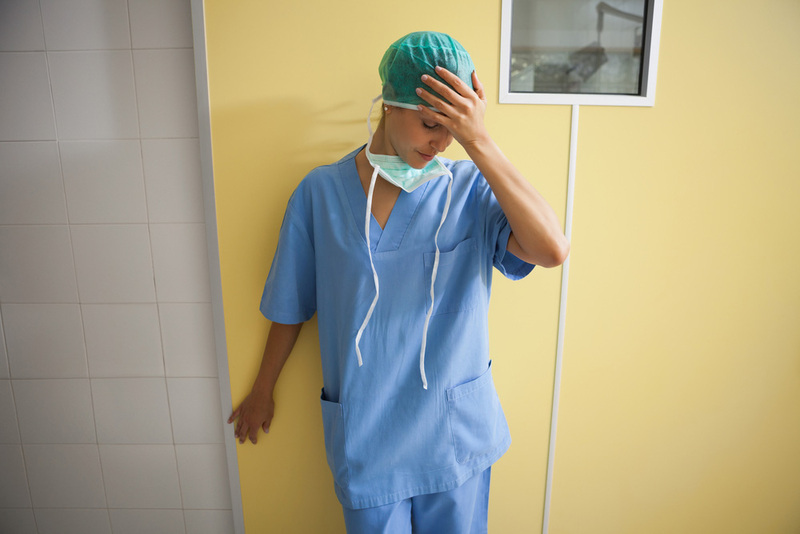 Once you’re scrubbed, you could be in theatre for hours, so make sure that you go to the loo beforehand. You don’t want to get caught out when you’re at the operating table. Things can be tense and stressful in theatre, as you would expect in such a high-pressure environment. Having a good sense of humour will bring a breath of fresh air into your department. Being positive and happy will help you get through your day, and you colleagues will respond to this. Bring plenty of snacks into work to keep in your locker. Finding time to eat regularly on your shift can be difficult when you work in theatre because you never know when you could be hit with an emergency. Having some snacks handy can help keep you fueled before your next big job. Our most important survival tip. Working in theatre in the NHS is a great career. Something different, exciting, interesting and weird happens every day. Give your new challenge everything you’ve got, work hard and embrace the ups and downs. You will love it. Have you got any more tips to give to someone just starting their theatre life? Tell us in the comments below. Stress in the NHS is a serious issue that affects a lot of staff. 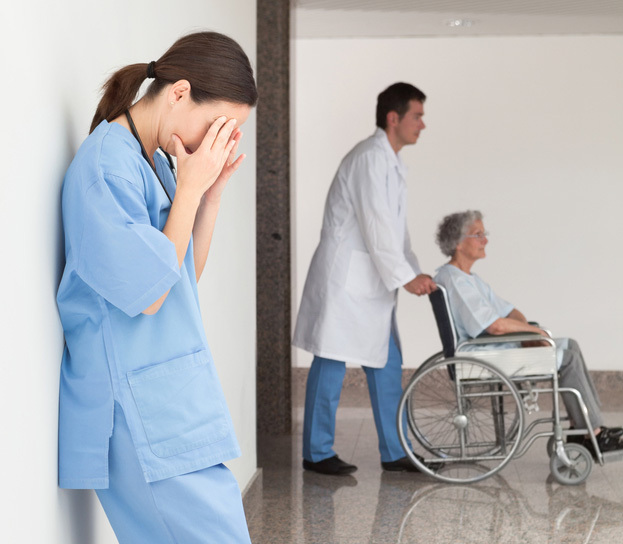 Stress tends to come hand-in-hand with high pressured jobs, and the NHS is no exception. Long hours, varying shift patterns, constant pressure to perform at your best – it can really take its toll. An NHS staff survey in 2014 found that 1/3 of staff had suffered from workplace stress in the last 12 months. Another study of NHS staff showed that 26.8% suffered from workplace stress, compared to 17.8% of the general population. We thought that we’d dive deeper into this issue to understand the stresses that NHS staff encounter. Many people experience work-related stress at some point in their lives. It isn’t classed as an illness, but if you don’t address the issue and leave it to boil inside, then it can affect you both physically and mentally. Anxiousness, low self-esteem, irritability, over-thinking – these are just a few signs of stress. Have you ever had a feeling of dread about going into work and you can’t think of anything worse? It can be very hard and sometimes you don’t know where to turn. It can also affect your sleep, which in turn will affect your performance at work and general well-being. A certain level of stress and pressure can be good for you and can sometimes get the best out of you professionally. However, when the balance starts to shift, it can be difficult to claw your way back. Leaving your stress at work and switching off has to be top of the list, but this may be easier said than done. Everyone is different and you need to figure out your own ways to manage stress. It’s very easy to fall into unhealthy habits when you’re stressed, so making sure that you’re eating properly is very important. It can be difficult to find time to eat enough on your shift but making sure that your body’s fueled properly is vital. Many people turn to exercise as a stress release. Working up a sweat in the gym or going for a run after work can help to clear your head and get rid of any negativity or pent up anger. Talking to your partner, friend or some at work can relieve some pressure. It’s good to talk and get things out in the open. You have to find the right balance of work and life. Make sure that you find quality time to spend with your family and friends. Developing a positive mental attitude can help to keep you in a good frame of mind. We interviewed a nurse, who wished to remain anonymous, about her experiences of stress in the NHS. Q: Is stress an issue among NHS workers? A: Yes, stress among NHS workers is a real issue. Everyone deals with it in a different way. You’re thrown into the deep end from day one with little support and you just have to do your best. Some people struggle, some can deal with it better than others. Q: What are the main stress factors in the NHS? and take on extra shifts. You end up working long, unsocial hours, without breaks. Sometimes, after three night shifts in a row you’re expected to work a day shift the following day. It’s difficult readjusting your sleeping patterns after working night shifts and it’s incredible that you can be expected to do your job to the best of your ability if you’re over-tired. Patient safety then becomes a serious problem. Tiredness also creates personal issues at home. Having to juggle family life and look after your kids becomes difficult when you’re exhausted. A lack of support from colleagues and management can also affect your well-being at work. Bullying in the workplace shouldn’t happen, especially in an environment where you’re caring for others, but it does. Sometimes you can feel very alone at work and under-appreciated. It’s very rare to get a thank you or a well done in the NHS. Q: Do you feel that you could be supported better? A: I definitely think there is more support needed from management. Setting up a buddy system could help people. Having someone to talk to confidentially would give them an opportunity to discuss any issues like bullying and get it off their chest. An occupational health service could be put in place so people could go to them for advice as well. More praise from management would be great just to give you a little boost now and then. An acknowledgement of hard work, a little encouragement goes a long way. It’s not all down to management though. There are plenty of things that we can all do that could help to relieve some stress at work. Staff coming together to support others and working as a team, like it should be would help. Communicating better with management and highlighting issues could prevent things from happening. If you don’t speak up, it won’t improve. What are your views on stress in the NHS? Have you personally struggled or know someone who has been affected? Do you have any stress management tips that you could share to help others in a similar situation? We would love to hear your stories in the comments below.